In this day and age, there seems to be a quietly increasing trend toward dehydration. Many people are dehydrated and don’t even know it. Are you one of them? The autoimmune disorders should really catch your attention. Yes, they are symptoms of dehydration. And you really, really don’t want to wind up being on the receiving end of your own immune system thinking your body is the enemy. The primary monitoring tools we have are thirst and the colour of our urine. There is a school of thought that considers thirst to already be a sign that you’ve waited too long to drink. I happen to agree with that. The best thing is to drink enough that your urine is a light-yellow. Depending on your metabolism and level of activity, there’s no sure way of stating “8 glasses/day” or whatever. It’s worth noting that as we age, our body’s thirst mechanism doesn’t work as efficiently. 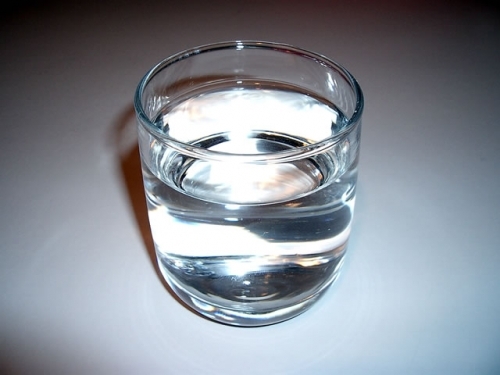 This can cause older adults to slip into a harmful state of dehydration and not even be aware of it. As you age, it’s crucial to monitor the colour of your urine and adjust your water intake accordingly. Generally, I recommend filtered water to drink. Filtering, by carbon or reverse osmosis, goes a long way to removing contaminants from our water supply. I recommend avoiding bottled water while you’re out and about, as the plastic bottles generally contain BPA (bisphenol A), which causes all sorts of serious health problems. So-called “vitamin water” is replete with HFCS (high-fructose corn syrup), so it’s a no-no. Ultimately, mountain-sourced spring water is the best. Make good decisions for you and your family. A nice departure from the routine of plain ol’ water can be to occasionally enjoy some coconut water. Coconuts are a wonderful source of lauric acid, which is an effective anti-viral, anti-bacterial and anti-fungal agent. It’s also a great source of electrolytes and the water is pure. So, forget about that bottle of Gatorade or Rehydrate and get with nature’s own plan. Is your glass half-full or half-empty? It should depend on whether you’re in the middle of drinking or in the middle of pouring. Yes. 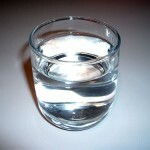 By the time you are thirsty, & it’s entered into awareness, you’re already seriously dehydrated….dehydrated for WATER. Period.